I’ve seen quite few people asking on facebook groups for inspiration on what to make members of the family and friends for Christmas this year so I thought I’ll try to answer that question here. Check out Loreen The Unicorn / Harper The Bunny / Kenny The Teddy Bear – amigurumi pattern by deliami. These are so cute that I wouldn’t mind getting one myself this Christmas! Baby Rattles by TillySome are so gorgeous. This Happy Cow Crochet Rattle is so well design and colors are just beautiful. Also this cute Crochet Bunny Rattle would be perfect for first Christmas Gift and forever keepsake. Also have a look at this gorgeous Crochet Hooded Unicorn Scarf by LilyandMasonBoutique. This scarf pattern comes in following sizes: Toddler (2T – 4T), Child (5 years – 10 years), Teen – Adult. If you are into making blankets here is unique princess dress blankets by CHCreations4U. There is a lot of different designs to choose from. Have you made a crochet dragon blanket yet? If not, don’t wait any longer. I can’t imagine any boy not being ecstatic about getting this super cute Crochet Dragon Blanket by MJsOffTheHookDesigns. Is your son/grandson/newphew a big fan of superheroes? You can make them this Crochet Superhero Blankets by SarahBethsBoutique. If you haven’t made a Crochet Shark Tail Blanket by CoutureCrochetMonet yet this is still a great Crochet Christmas Gift Idea for this year. You probably seen the Crochet Messy Bun Beanie Hats going round everywhere on social media. If you haven’t considered making one yet then please do as these are a hit with teen girls this season. Here is a great Crochet Messy Bun Beanie Pattern by HookedOnTilly. Grey is so modern and neutral that will match any style. This fashionable Crochet Ear Warmer by MYandGG is a great alternative for those with shorter hair who can’t really make a use of messy Bun Hats. Every boy (or girl) love emoji! If you haven’t heard of them, they are a small digital image or icon used to express an idea or emotion. Kids love using them while texting or messaging their friends on the Internet. 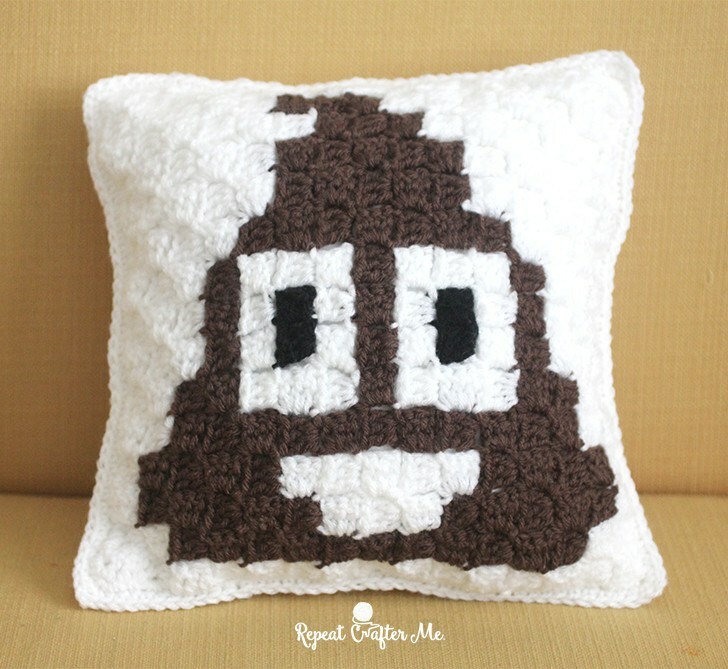 Check out this Crochet Emoji Poop Pattern by Reapeat Crafter Me. Have you seen a teenager without their tablet or a phone? Guessing probably not! Are they a little bookworm maybe? If you answered yes to either of the questions then they will love this I Love Music and I love Books Crochet Tablet/Book Holders. Those would also make a great gift for adults. These knitted and crochet poufs are so popular and are both nice looking and practical gift. I’ve seen loads of them in stylish home decor magazines. Here is a pouf crochet patter that includes 4 desings by isWoolish. I’d suggest making those crochet poufs from a stronger type of fiber like rope, cotton cord or t-shirt yarn. You can make a fabric yarn yourself using for example old bed sheets. Here is a great tutorial about making fabric yarn by lookwhatImade.net. If you are working on a budget check out this free crochet pouf pattern by Heather from Twin Dragonfly Designs. You think there is not enough time to make anyone a blanket? Well that’s not true! Using this fabulous Merino wool you can hand crochet a gorgeous super fashionable blanket within 1-2 hours! The photos of gorgeous knitted merino wool blankets were travelling all over the internet for the past few months. I have to admit they look a bit better knitted then crocheted and I really couldn’t find that many done in crochet but here you are. Here is a youtube crochet merino wool blanket pattern video tutorial from BeCozi.net. The only problem is, that wool is quite expensive. For Universal Size Blanket 40 x 60 inches (101 cm x 152 cm) you will need 2.3 kg (5.1 Ibs / 81.13 oz). 1 kg costs around £25- £40 so you look at around £50-£80 just for materials. The cheapest merino wool I’ve found on Etsy is actually from my home country – Poland for £22 per 1 kg (2.2 lb around 40m) plus cost of shipping. 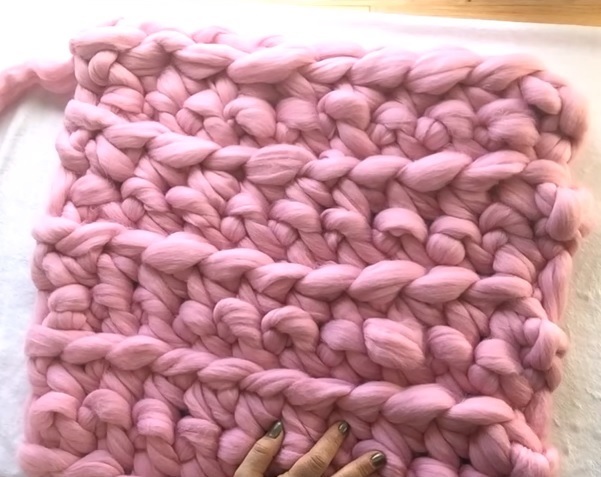 If you don’t have access to Merino wool check out this super chunky hand crochet blanket pattern and video tutorial by Simply Maggie. The blanket is made using 3 strands of Premier Yarns Deborah Norville Serenity Active Yarn-Grey, Other, Multicoloured . 12 skeins of yarn is needed so at £7 (sale price) the costs comes at £84 so very similar to merino wool. For those of you who work on a a small budget check on this video tutorial by Kristin at Home who showed an alternative yarn at a much lover price tag which is Loops & Threads® Indie™ Indie Pop Yarn. Kristin is actually showing how to knit the blanket so it’s great opportunity to learn or you can choose to crochet the blanket as shown in the patterns above. Dream Catchers make a lovely decoration for any home. 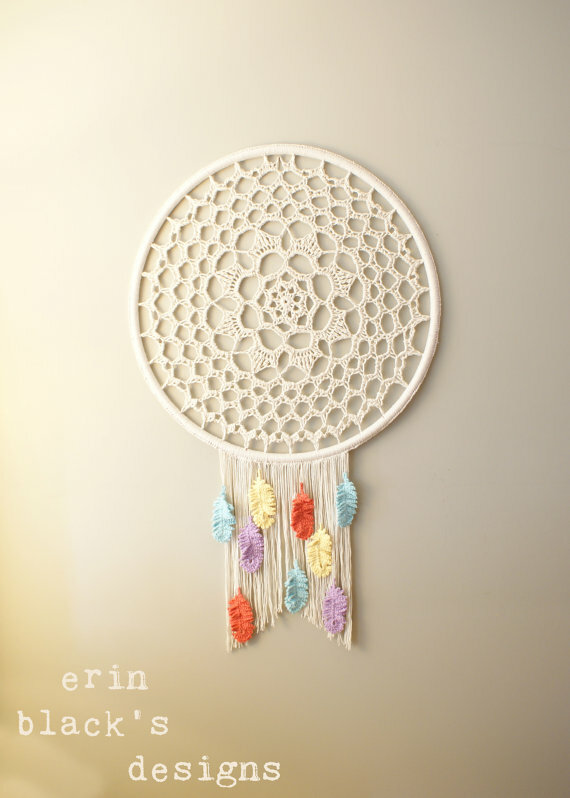 Here is a lovely Crochet Dream Catcher pattern by MidKnits. Hope you liked my propositions and you will find an idea for a Crochet Christmas Gift you were looking for. Don’t forget to share this article with your crochet friends! Just click on the ‘share’ button below.